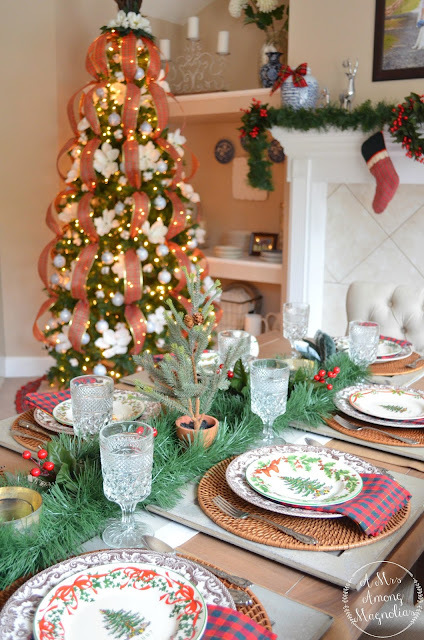 I am overwhelmed with excitement to share these next few posts with y'all! 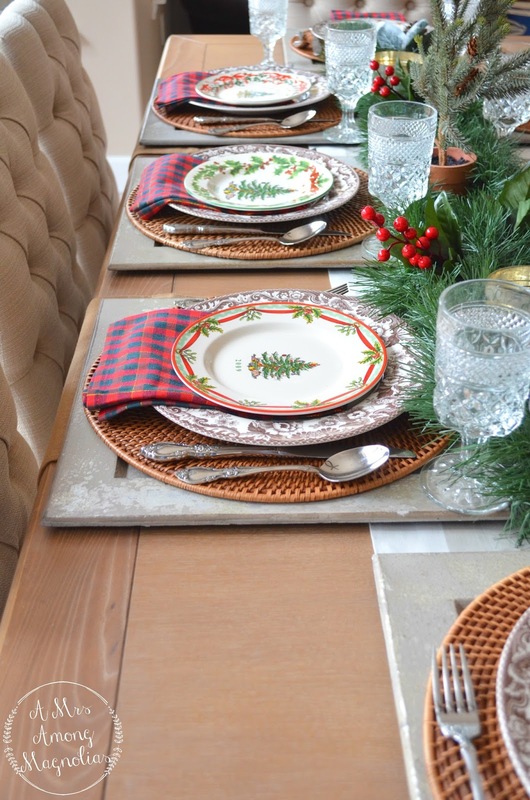 Tablescapes are one of my all time favorite things to create. It still amazes me how much I feel in my element when I start to create tablescapes. 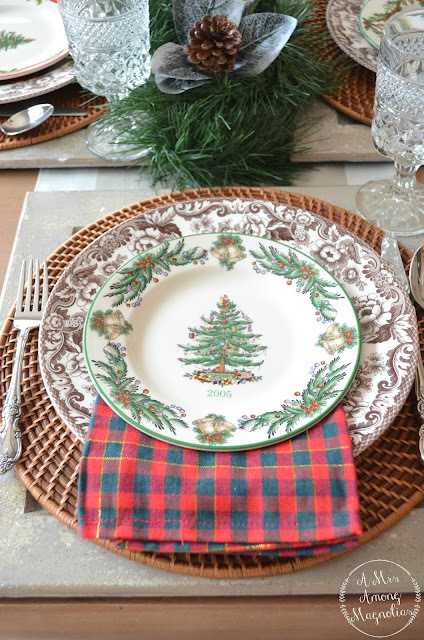 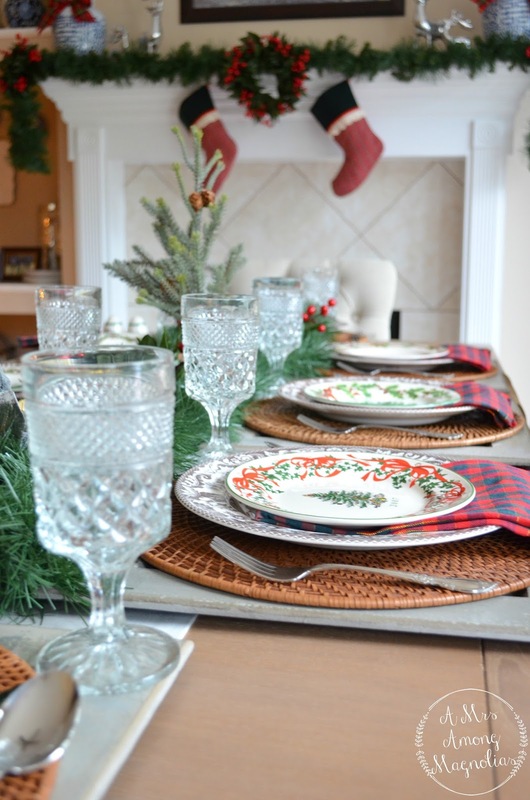 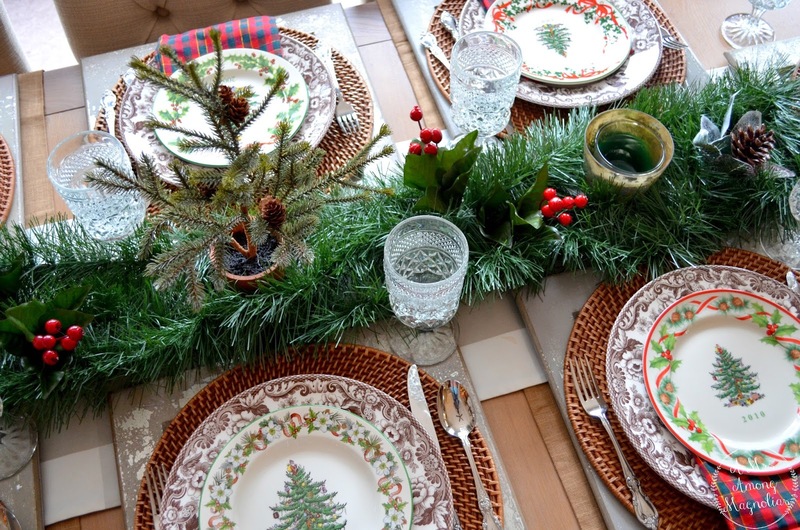 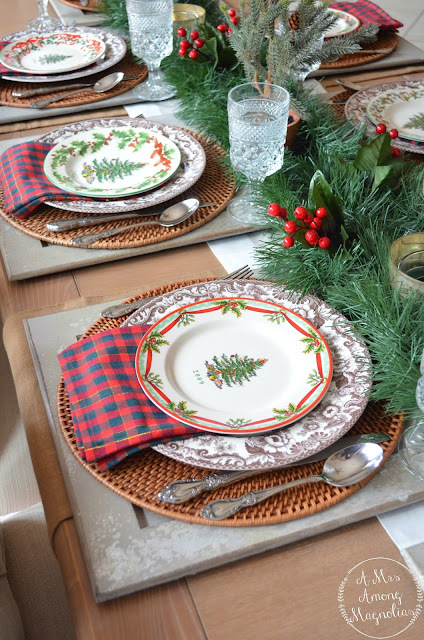 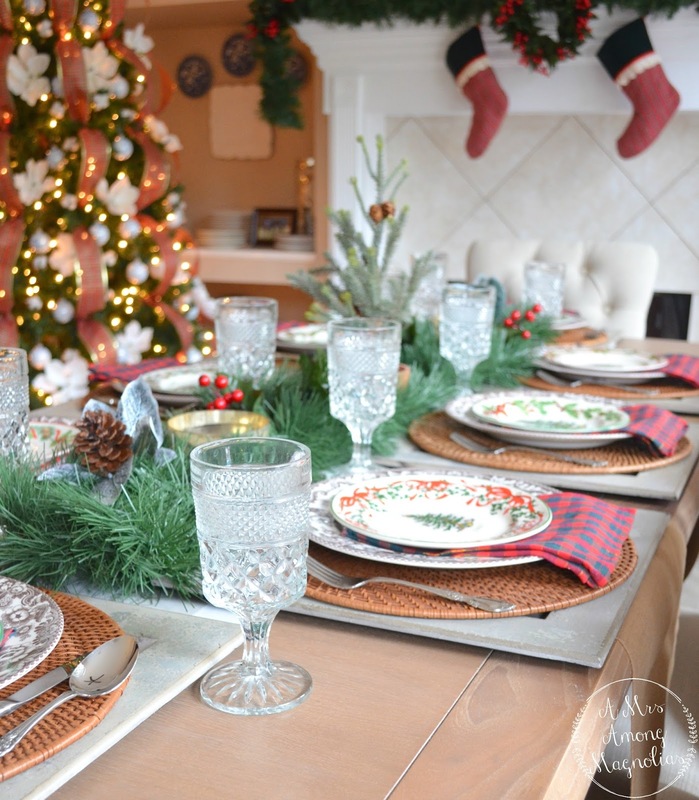 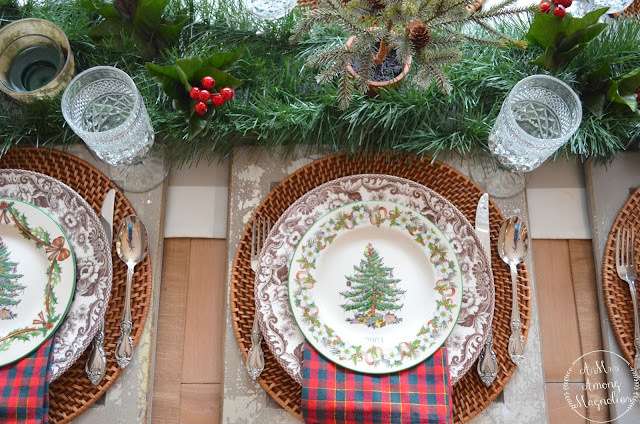 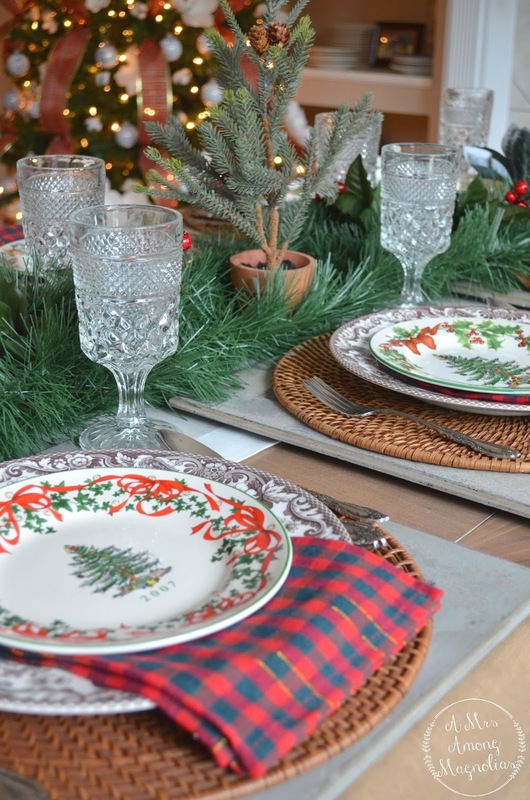 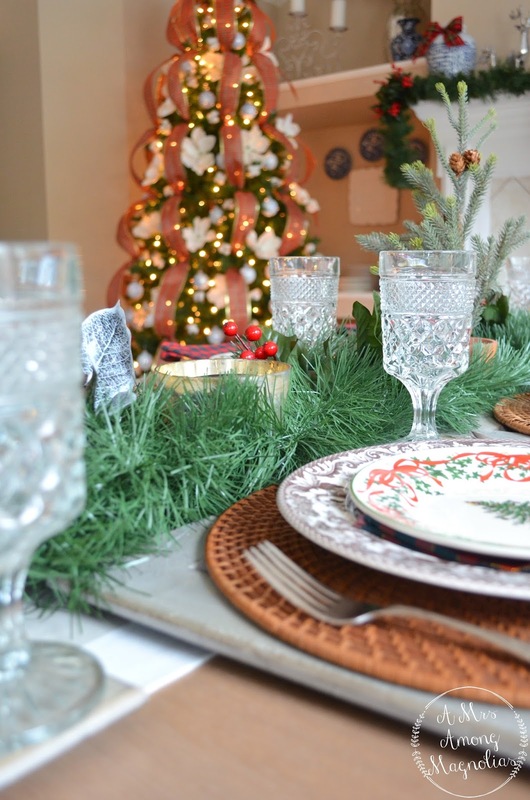 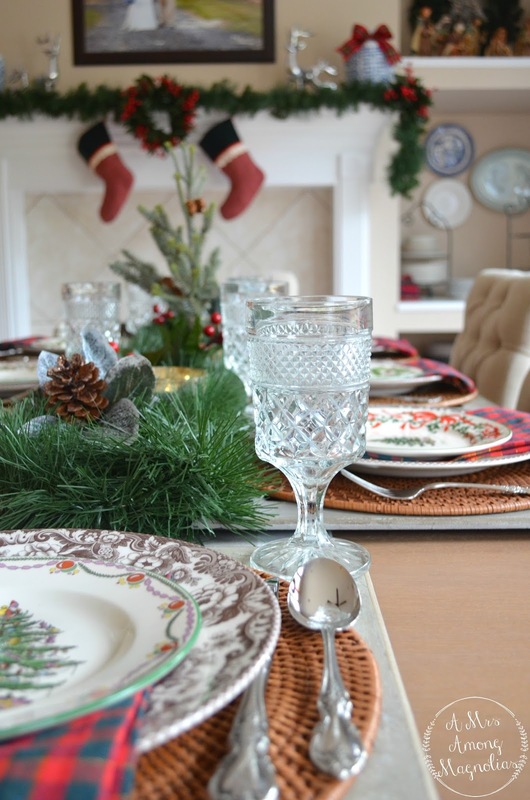 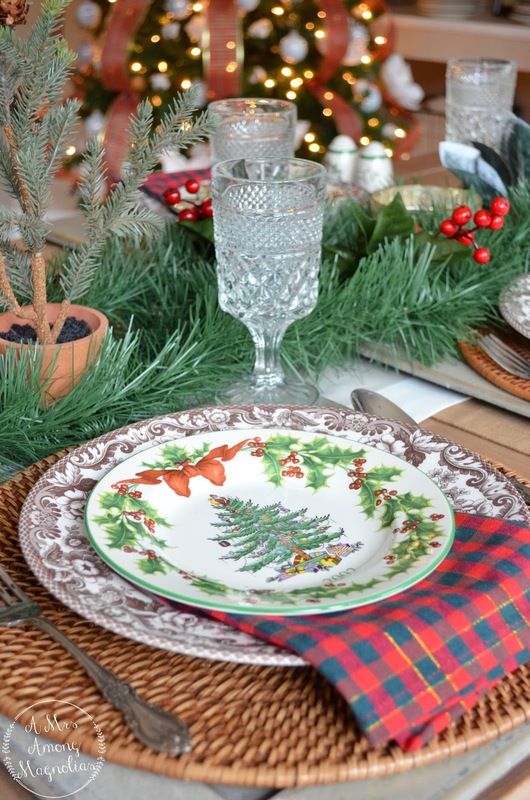 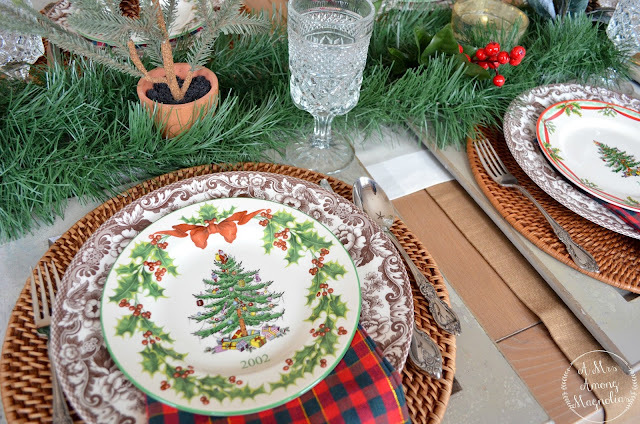 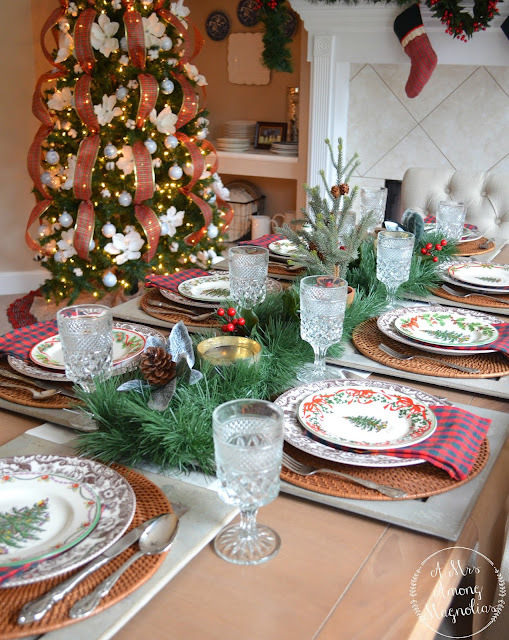 So, this week on A Mrs Among Magnolias is Christmas 2015 Tablescape Week!! Our dining room has been covered in dishes, chargers, napkins and glasses for weeks now but I am pretty sure that the end result will provide you with some inspiration for your own Christmas tables! 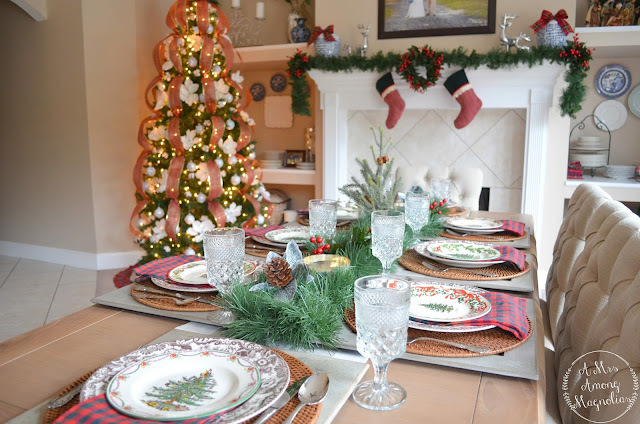 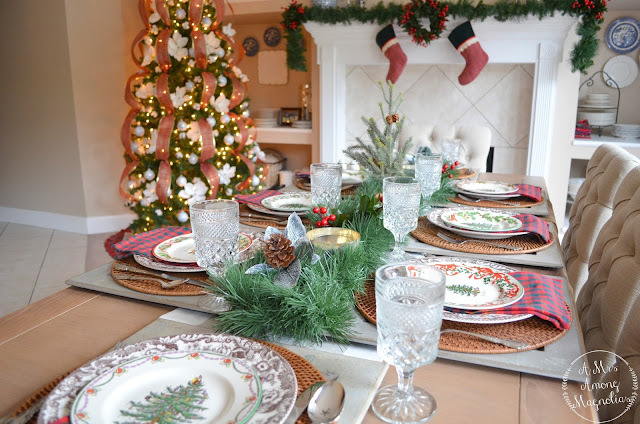 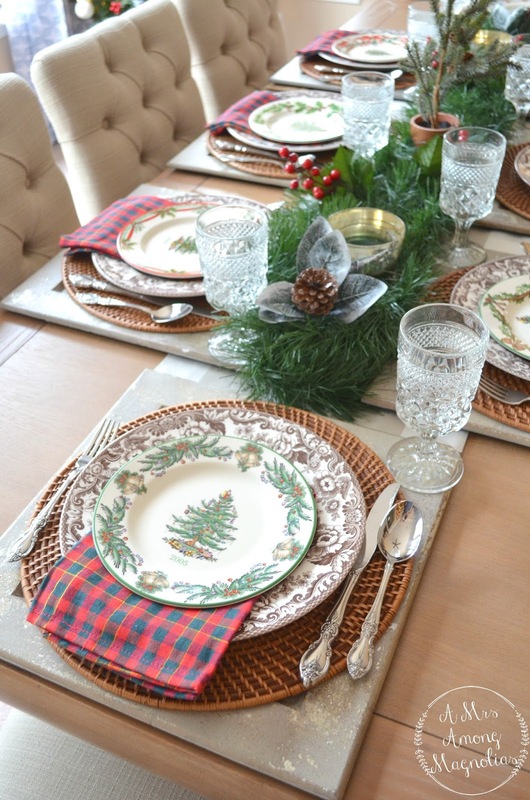 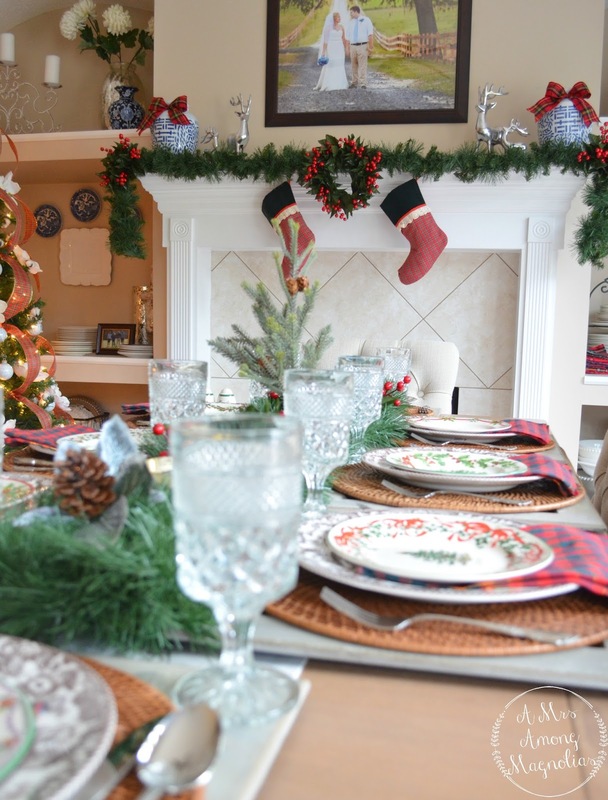 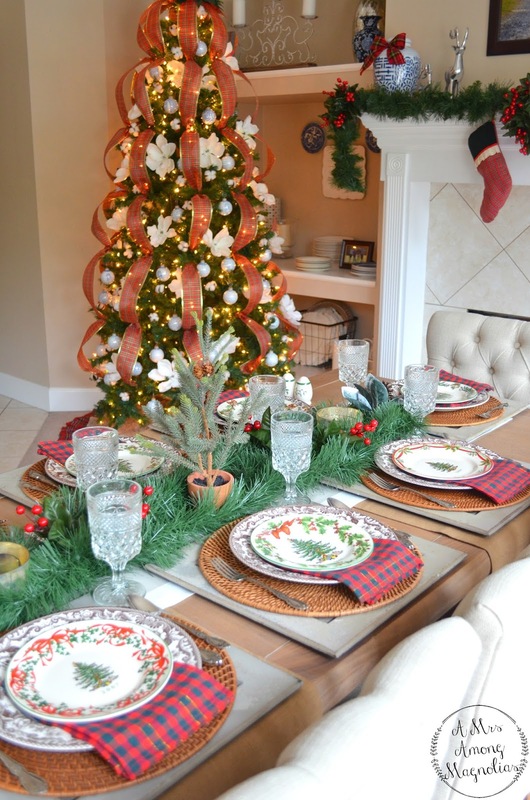 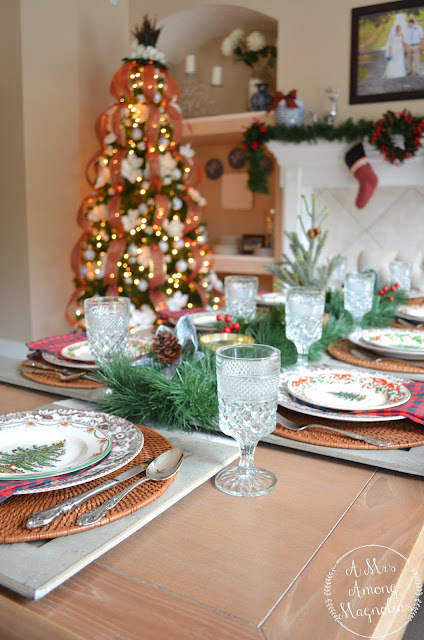 I thought I would start off the week with the tablescape that was featured in Our Magnolia Home Christmas Tour. It is a mix of old a new with a splash of Christmas memories thrown in. 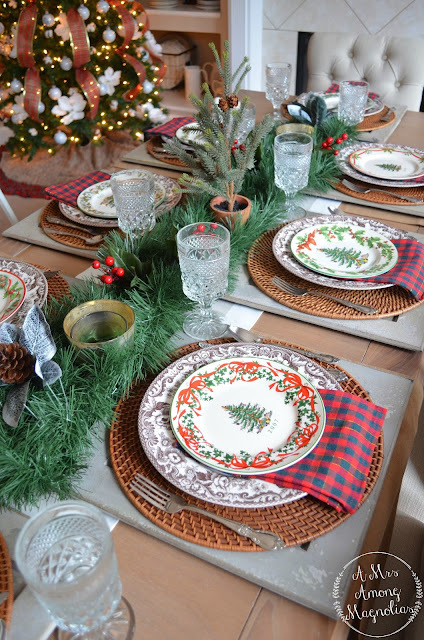 This tablescape truly brings back memories of my childhood. 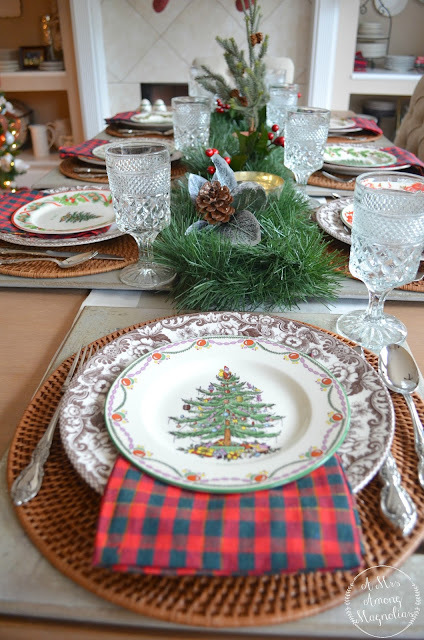 My grandmother would always go all out on Christmas decorations and we would have a huge family dinner on Christmas Eve. 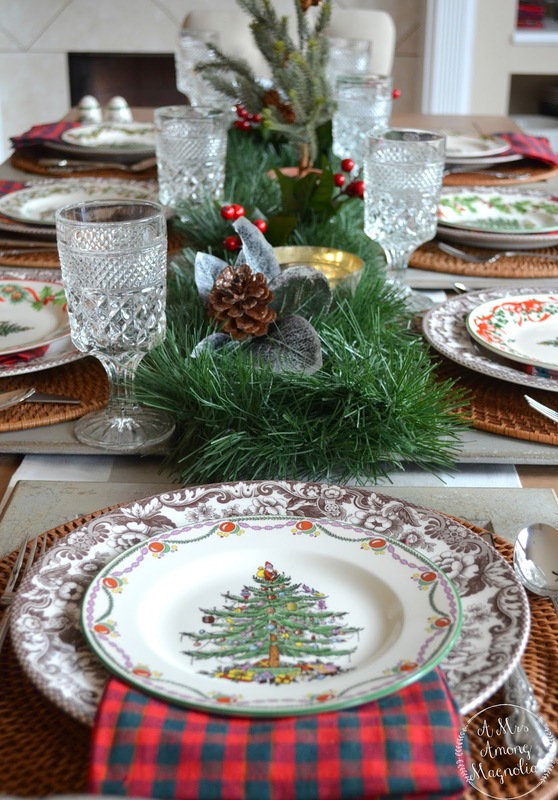 Then on Christmas morning, my mom would make eggs Benedict served up beautifully on Spode's Christmas Tree dishes. 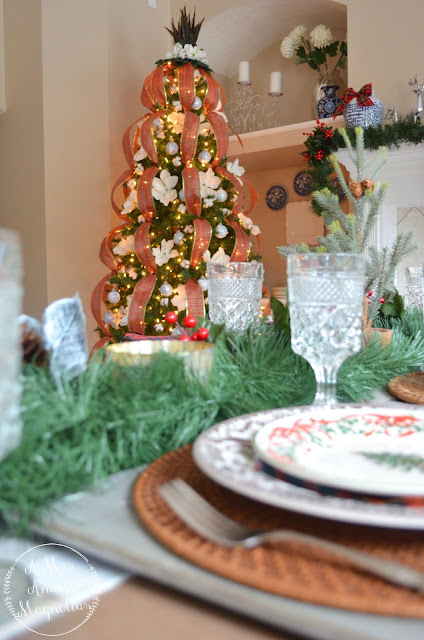 At first, I wasn't sure how I would like having the tree and the fireplace in the now dining room, but I must say I am kinda loving it now!! What's better than eating dinner next to a Christmas tree? Merry Christmas y'all! Come back all week for more Christmas tablescape goodness!! 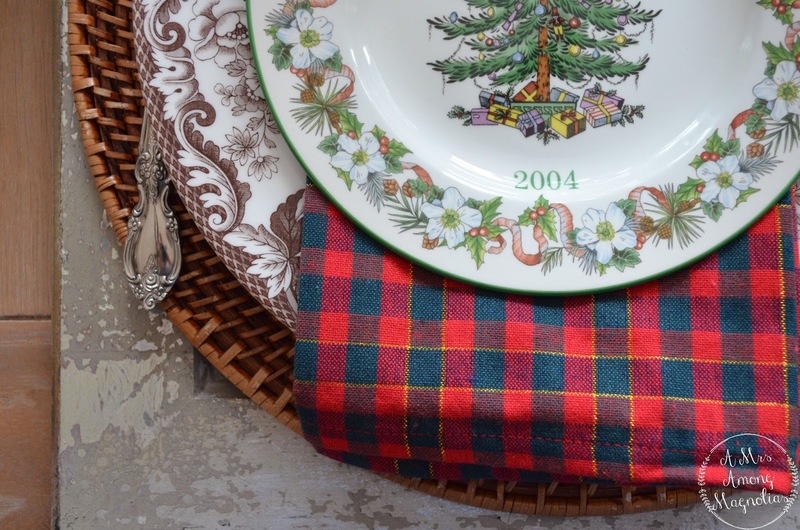 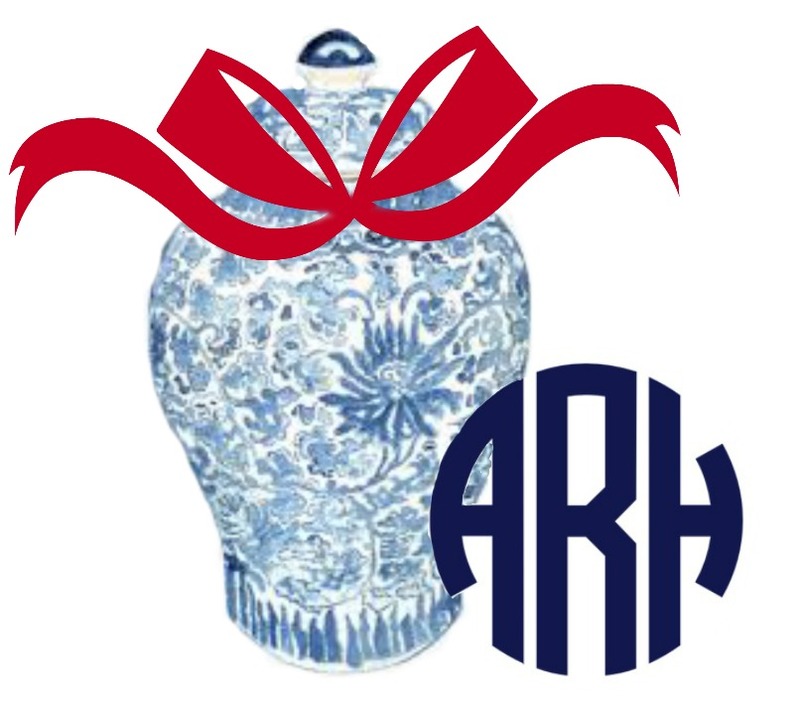 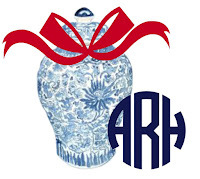 There will be blue and white, Spode and plenty of tartan to go around!